I’m J. A. Ireland. 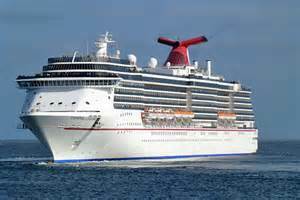 This is the second part of my articles about of our trip on the Carnival Triumph sailing from New York City to Halifax, Nova Scotia and St. Johns, New Brunswick, Canada. I have so many fantastic memories of NYC; a city I could travel back to over and over again. Times Square, Broadway, Central Park…the list goes on and on. What a wonderful city; the people are so friendly and welcoming. After an exciting time in NYC it was time to sail on the Triumph; ALL ABOARD! After the muster drill; we were in awe as we sailed out of New York harbor past the Statue of Liberty monument on Ellis Island . 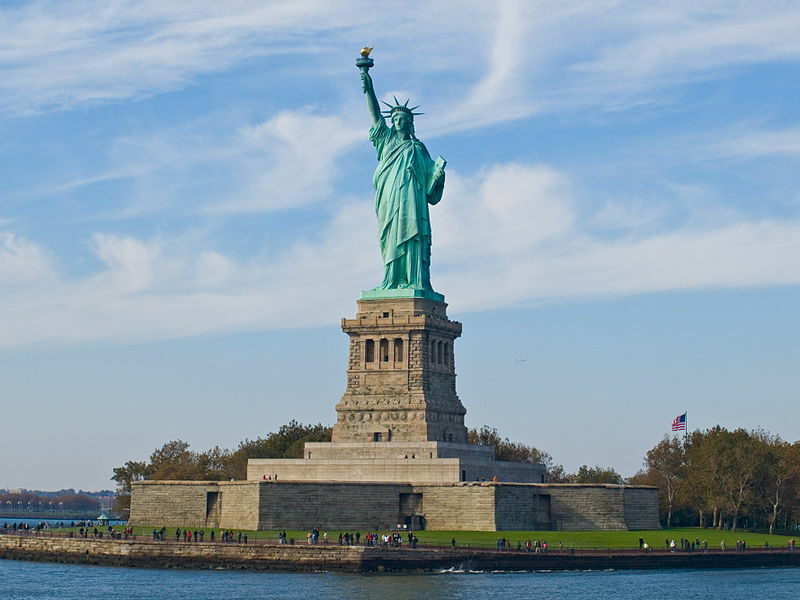 We read about and saw pictures of the magnificent statue but never saw her in person; amazing! This allowed a long look and goodbye to our new friend; NYC. This sail-out was a spectacular way to start the lovely northeastern shoreline cruise up the New England coastline. While sailing on the amazing and beautiful cruise ship, we enjoyed many of the attractions; South Beach Club, The Capitol, Rome Main Lounge… There is so much to do, eat, and see. The food is yummy! The shows are wonderful. 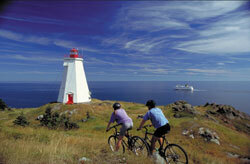 Our first port of call—Halifax, Nova Scotia. We sailed on a small private flat bottom boat to a quaint fishing village outside the sea metropolis of Halifax, while whale watching. Here we spent time wandering through the small fishing town. We did some souvenir shopping, watched the anglers hauling in the boats laden with their catch, and enjoyed some of the local fresh catch of the day. We had an enjoyable day watching for Minke whales; Minke whales are the native whales of that waterway. In St. John, New Brunswick, Canada we enjoyed a bus ride to the Bay of Fundy. The Bay of Fundy is unique as the current runs both ways. During high tide, the current runs inward, and during low tide the current reverses and flows back into the Atlantic ocean. 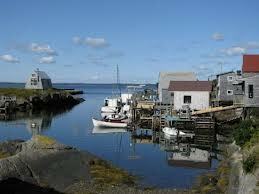 The Bay of Fundy is a beautiful waterway to view. 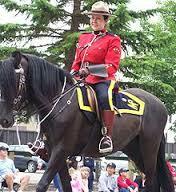 Also on this shore tour, a Royal Canadian Mounted Police officer rode up on horseback; he was dashing. The very nice officer gladly posed for photos. We ended the fun day of sightseeing and Minke Whale watching with a return boat ride to the Triumph. ALL ABOARD! As we sailed into deeper ocean waters, in Nova Scotia Bay, we saw Minke whales frolicking in the waters edge. They were easy to recognize. They looked like logs floating on the surface until we saw the poofs! The watching soon ended as it became to dark to see in the setting sun silhouettes of the ocean caps. Time for dinner and another fun evening as the Carnival Triumph began the speedy journey back to NYC. May good fortune guide your path. J. A. Ireland.